Welcome to the Restaurant Guy Savoy Review. You can find this restaurant inside the Caesars Palace. It is one of the notable restaurants in Vegas. When you step inside the restaurant, you may forget that you are here to eat. Chairs are set in ways that enable you to see the Strip. For this reason, it is comfortable that you forget what you are here. Anyway, that is what you can find. The location of the restaurant is ideal. · Soupe d’artichaut à la truffle Noire. · Brioche feuillellée aux champignons et truffles. It is possible that you need to taste these meals for the first time. You will only wish that you know them early. They are as delicious as they look. Above all, this is the time to taste them. You may like to know one fact. The restaurant management does not allow any employee to put on perfume. There are no flowers inside the restaurant. Why? The main reason is to ensure that there is no disruption of the sweet natural aroma of meals. It is the restaurant’s policy that visitors need to enjoy the natural fresh aroma. The management doesn’t want anything artificial. Isn’t this caring? So, rather than visitors coming in, eat a quick meal and dash out, something remains. They will always come back knowing that the meal smells nice. The food tastes sweet. Restaurant Guy Savoy is creating something new. Also, This is a new room that will give visitors a brand new experience. You will expect this suite to offer clients what is not in the main hall. That is what will happen. · Artichoke and black truffle soup. The following are some of the awards this restaurant has. When you look at these awards or mentions, know that effort is behind it. · Best Restaurant in The World by La Liste. · Forbes Travel Guide’s “Five-Star Award” in 2013, 2014, 2015, & 2016. · Top 40 Restaurants in the U.S. in 2015 by Gayot.com. 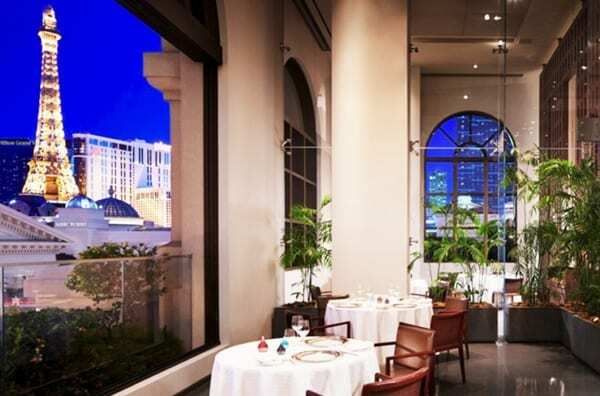 · One of the “Most Romantic Restaurants in Las Vegas” by Thrillist in 2015. · Wine Spectator Magazine’s “Grand Award for Excellence” in 2013 & 2014. · 2014’s “Essential Las Vegas Restaurant” by Eater. · Among the “15 Best Restaurant in Las Vegas” by The Daily Meal in 2015. · Best ‘Restaurant of the Year” by Desert Companion Magazine in 2012. · All these award and mentions do not come to Restaurant Guy Savoy for free.